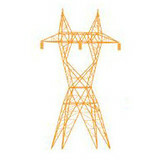 Electrical Services Group is the New Haven electrician specializing in electrical construction and maintenance. We serve most areas throughout the Connecticut area. We focus on residential and commercial facility construction. We offer energy efficient upgrades along with on-call maintenance. Our commitment to innovation leads to energy savings and eco-friendly solutions. Since the beginning, we have shown our customers how reducing energy consumption can enrich their bottom line and their work place environment. 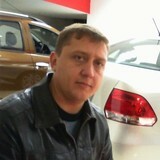 Hi my name is Eugen Molchanov,and I glad to see u at my Houzz.com page,I present u my buisness - selling Brille company production. Brille is a Western Europe company that produce Chandeliers, Desk-Lamps ,Floor lamps. All production contains LED lamps(economy and ecology clean). if u look interesting goods at my page,please contact me or make an order in a web side. 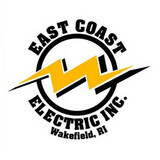 With more than 25 years of professional work behind them, and thousands of satisfied customers, the contractors with East Coast Electric, Inc. are the premier choice for all your service needs in South County, Rhode Island. We work hard to build trust with every customer, and the business owners are present for every job, so you can rest easy knowing that any problems will be handled quickly and professionally. We use all the best parts and equipment for every task, call today for more information about any of our work, or to schedule service. A.C. Electrical Professional Services, LLC is a licensed and fully insured electrical contracting company located in Milford, CT. We are a certified minority owned small business enterprise that services both residential and commercial clients. We are fully licensed and insured electrical contractors that provide services including residential electrical services, service upgrades, security lighting and motion sensors, additional switches and lighting, ceiling fans, sump pump receptacles, generators, surge protection, electrical safety inspections, emergency power generators and even Solar Systems (PV). We are an approved installer from the Clean Energy Finance and Investment Authority (CEFIA). We can obtain rebates and solar leases for our solar customers, and much more. Our goals are to provide responsible, skilled and courteous electrical service on time and for a fair price. We constantly research for the highest quality technologies in the electrical field, while also staying abreast of the latest in industry updates, so you the customer are informed. We are a full service electrical contracting company specializing in residential and commercial electrical installations and repair. We strive to provide the highest level of customer service in the business.